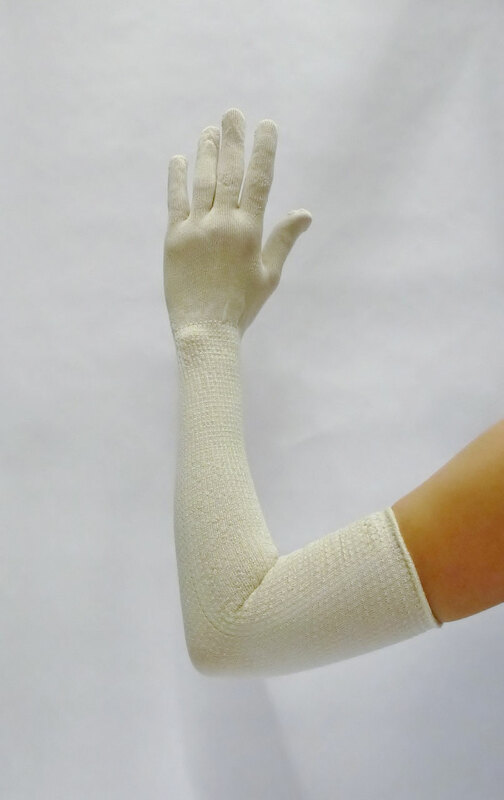 These long soft silk gloves reach past your elbow and even to the upper part of your arm, depending it's diameter. They come in a lovely cream color and are One Size fits most. As they are silk, they also take the dye nicely. Great for folks who like to do home dyeing projects.